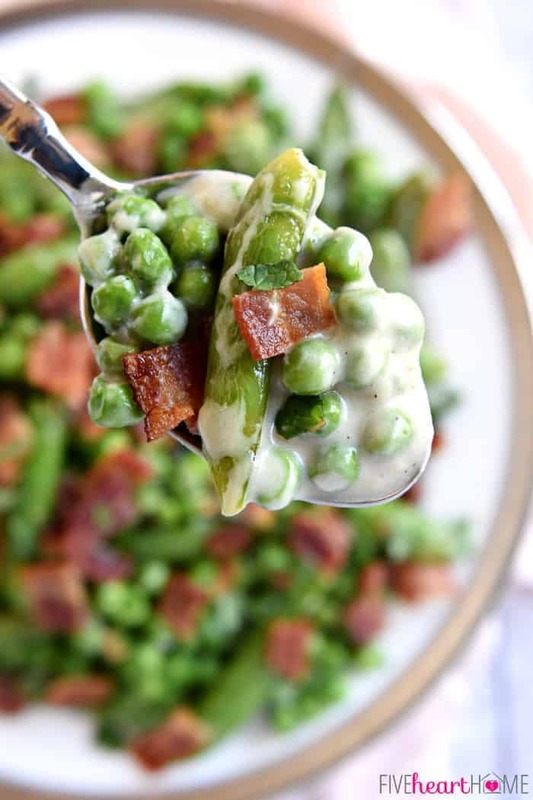 The ultimate Easter side dish, Creamy Spring Peas with Bacon + Mint feature a delicious combo of flavors and textures from sweet green peas, fresh sugar snaps, salty bacon, a decadent cream sauce, and refreshing pops of mint! Well, March has certainly come in like a lion around these parts. We actually have a chance of snow in the forecast this week. Snow! In central Texas! 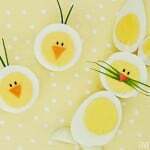 In March! But aside from the fact that my kids would be elated to see even a solitary flake of snow fall from the sky, I have to admit that I am done with winter and beyond looking forward to a few weeks from now when spring has officially arrived and March (hopefully) exits like a lamb. 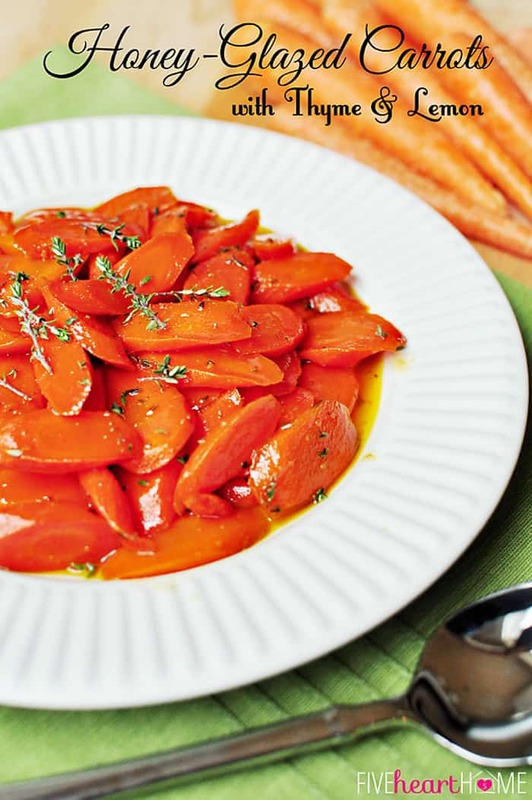 So in preparation for that glorious day, how ’bout a spectacular spring side dish that just screams Easter dinner?! 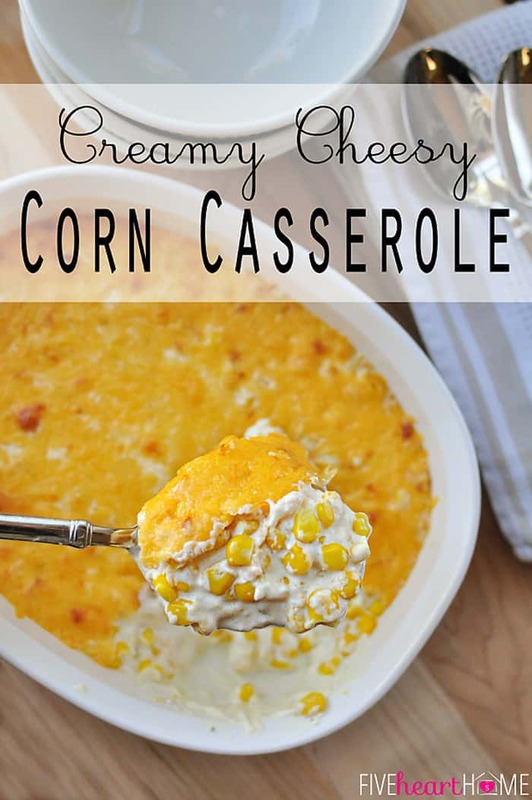 I cannot tell you how excited I am about how this recipe turned out. 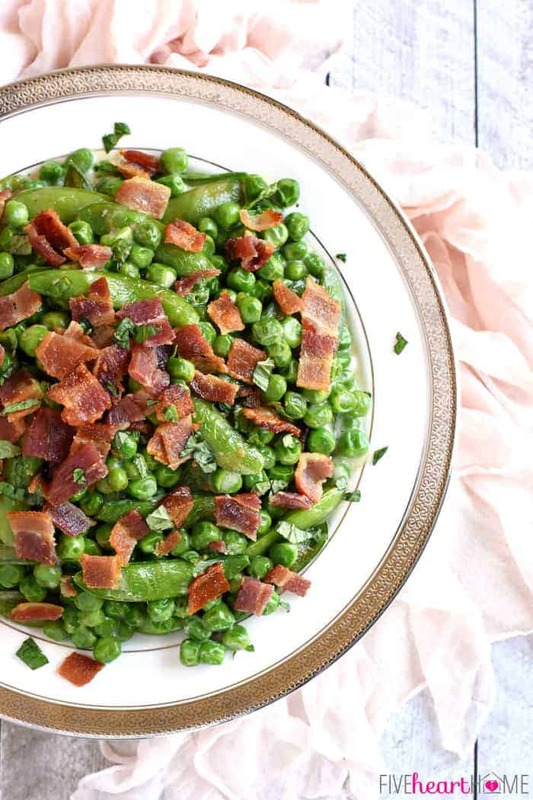 These Creamy Spring Peas with Bacon + Mint are an explosion of so many flavors and textures at once, and I could literally eat a giant bowlful of this concoction for dinner and be perfectly content. Actually, on the day that I made this, it’s possible that I ate two bowls for lunch immediately after taking these photos (hey, photographing food works up an appetite…for said food). So let’s break it down, shall we? 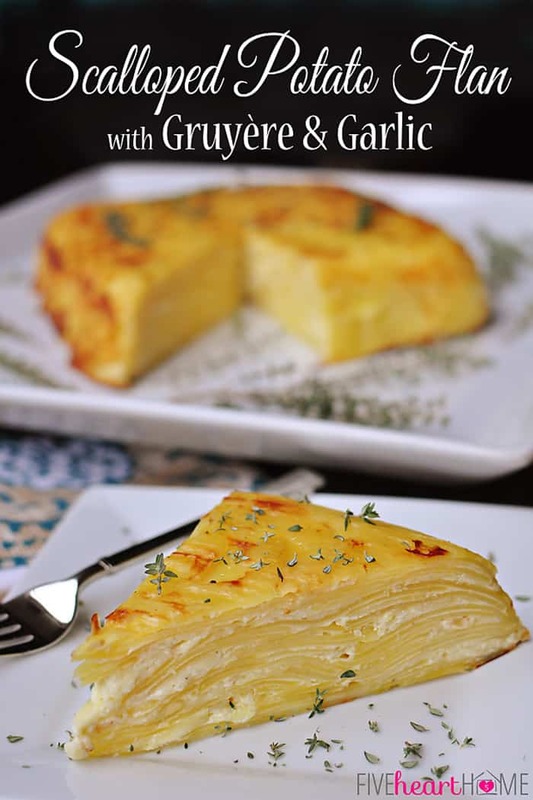 What makes this recipe so fabulous? Well, first and foremost, I think it’s all of the contrasts going on in the dish. 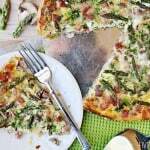 You have the sweet green peas and the fresh, crisp sugar snap peas countered by salty bacon. Then there’s the decadent cream sauce, which tastes indulgent but is primarily composed of chicken broth with just a bit of heavy cream added for richness. And then there’s the light sprinkling of fresh mint, which provides a surprising pop of refreshing flavor that perfectly complements each of the other ingredients. Starting with the peas…if you have access to fresh shelled English peas, by all means use them. But for most of us, frozen green peas will suffice just fine. In addition to those regular ol’ peas, you’re going to incorporate some fresh sugar snap peas. 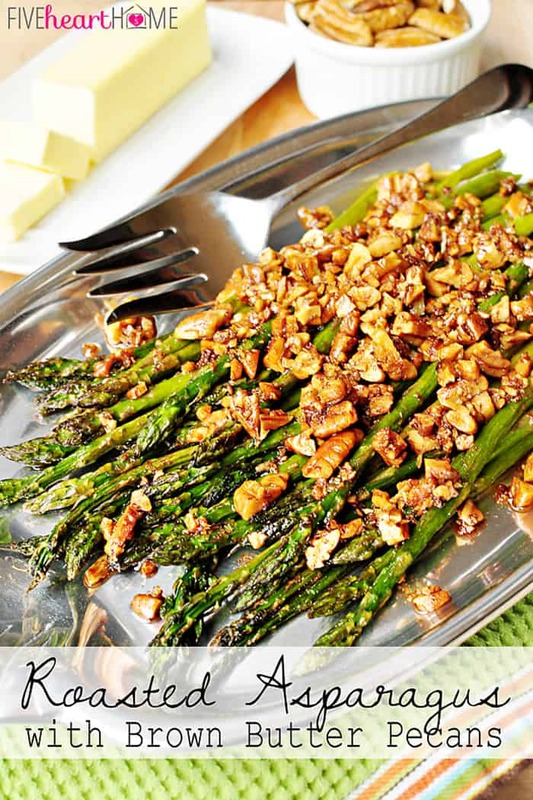 The sugar snaps are pan sauteed until crisp-tender, at which point the green peas are tossed in for another minute. Then the peas come out and the magic — er, the bacon — goes in. 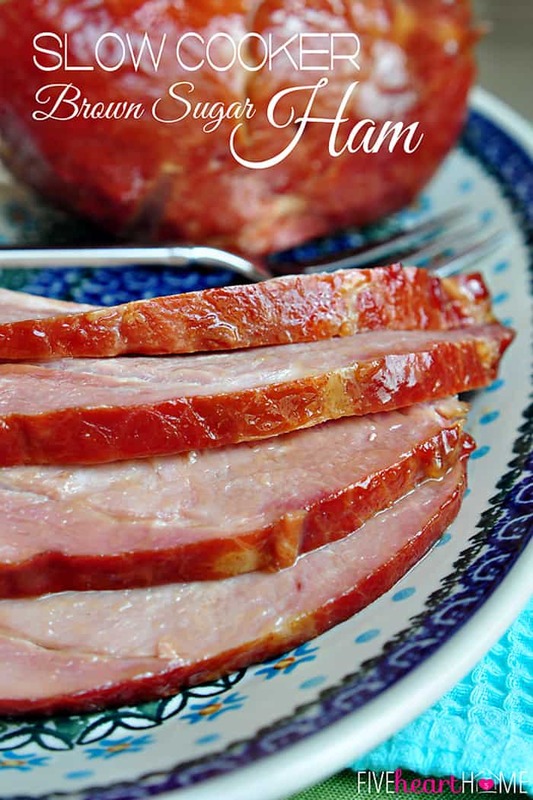 The bacon is cooked until crispy and then a pan sauce is fashioned by adding flour to the bacon drippings, whisking in chicken broth, and adding a bit of cream for, well, creaminess. 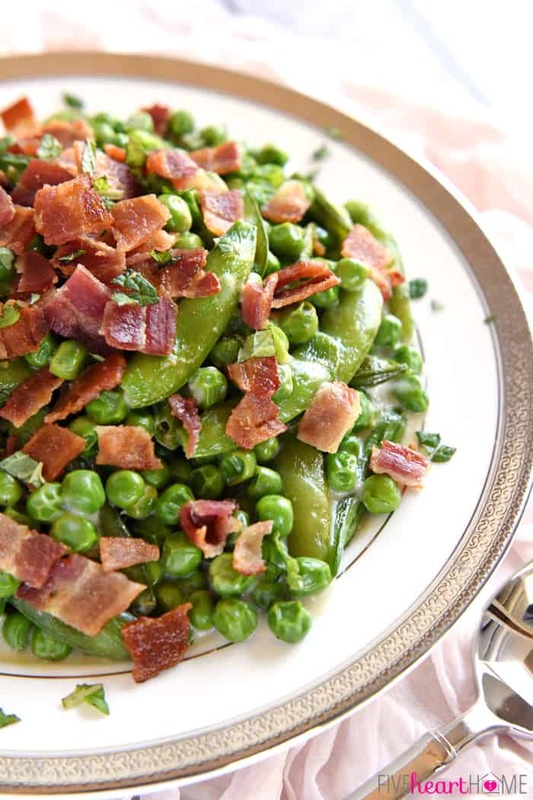 The cooked peas are added back to the sauce until just heated through, and finally the whole shebang is transferred to a serving bowl and lusciously topped with the crumbled bacon and a smattering of fresh minced mint. Heat a large skillet or saute pan over medium-high heat. Add the olive oil and butter and swirl to coat. Add the sugar snap peas, salt, and pepper, and cook for 3 to 5 minutes, stirring occasionally, until sugar snaps are crisp-tender. Stir in the thawed green peas and cook while stirring for 1 minute more, until just heated through. Transfer the peas to a bowl and set aside. Add bacon to skillet and cook over medium heat until crispy. Remove bacon to a paper towel-lined plate to drain. Once bacon has cooled, crumble or dice it. Discard all but 2 tablespoons of the bacon grease (and if there's not enough bacon grease in the skillet, add olive oil so that the total drippings in the pan equal 2 tablespoons). Add flour to the drippings and whisk continuously for 1 minute. Slowly and gradually stir in the chicken broth, whisking until smooth. Add the heavy cream. Whisk continuously until the sauce is reduced by 1/3, about 5 to 10 minutes. Add peas back to the sauce. Cook, stirring, until heated through, about 2 to 3 minutes. 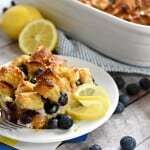 Stir in the fresh lemon juice and season with additional salt and freshly ground black pepper, to taste. 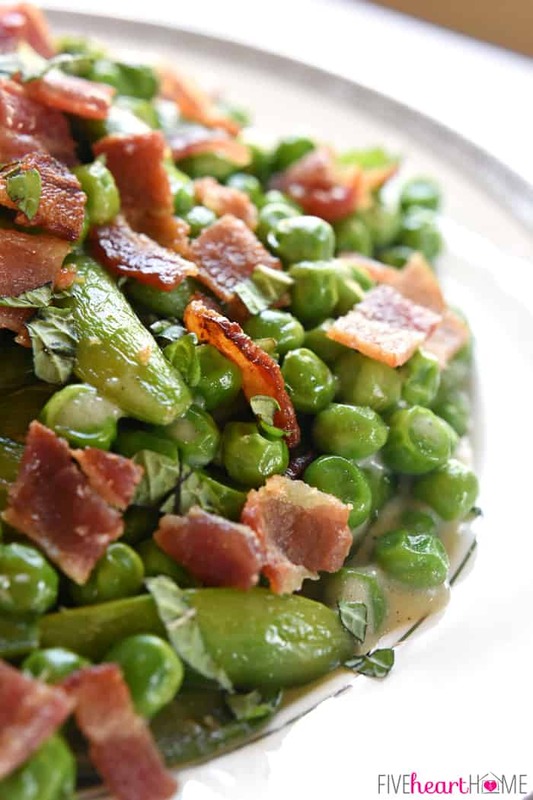 Transfer peas in cream sauce to a serving bowl or platter, and top with crumbled bacon and fresh minced mint. Serve immediately. To trim sugar snap peas, cut the stem end from each pod and pull downward to remove the string. If bacon strips are too long for your skillet, cut them in half. You may also cook the bacon already diced, if you prefer. Do not overcook your peas or they will become mushy and lose their bright green color. A little bit of mint goes a long way, so add as much as you wish. 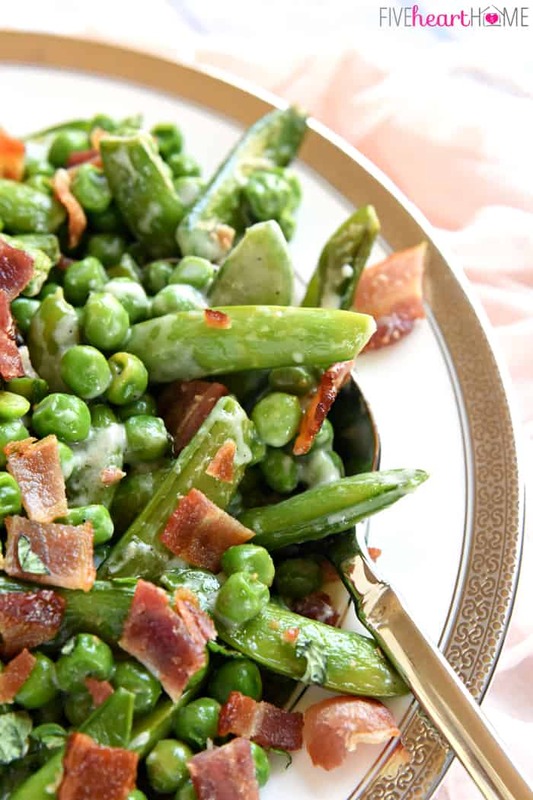 Peas are my favorite vegetable, and adding bacon always makes them even better. I would never think to add mint, but now I HAVE to give it a try! Thanks for sharing! 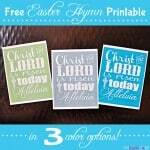 I hope you love these, Stephanie! A little bit of mint goes a long way, but it’s a fun contrast to the bacon. 😉 Thanks for stopping by…have a great week! 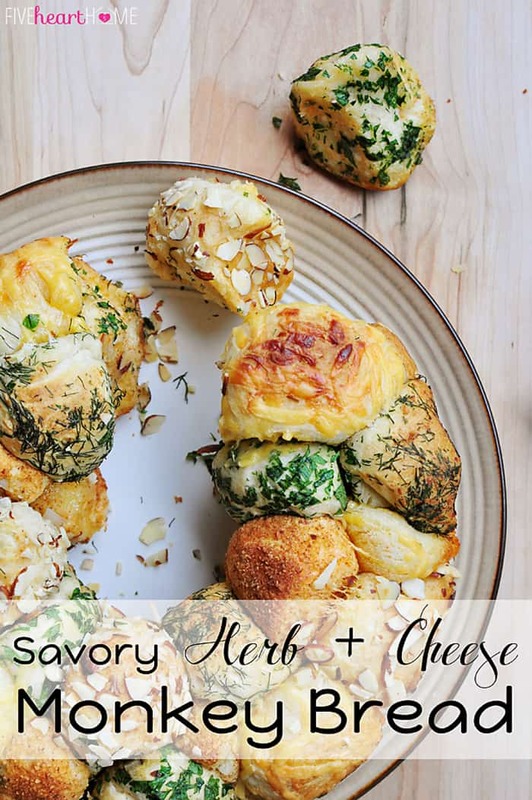 I tried a dish similar to this in a cool little restaurant in Montreal and it was so delicious! 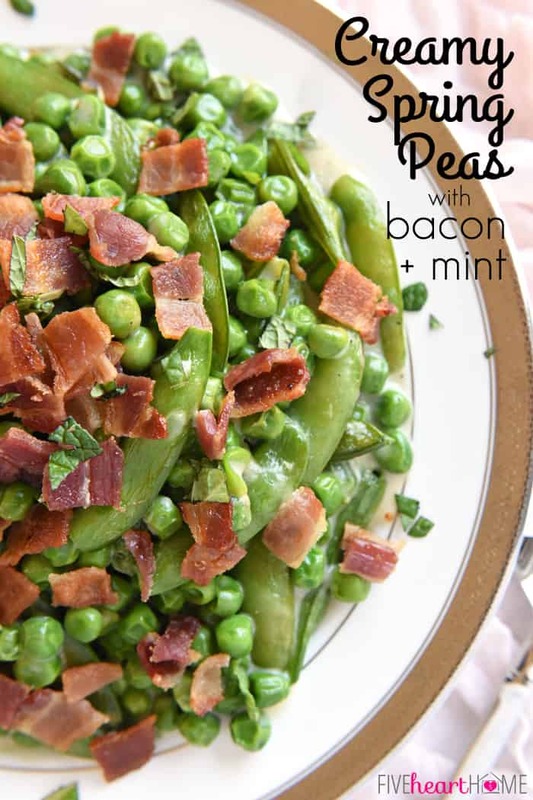 Who knew mint, bacon and peas compliment each other so well. My kiddos are allergic to dairy. 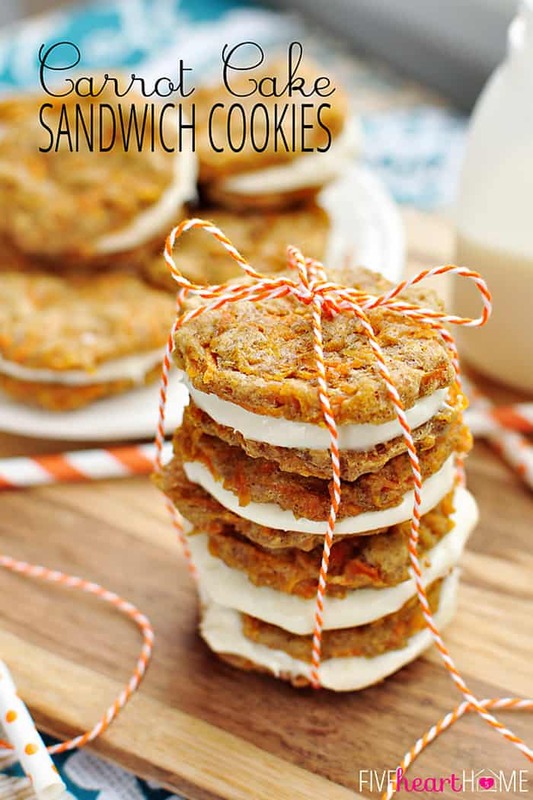 Do you think coconut cream would work at all with this recipe? Hi Amber! I would worry a bit that coconut cream might make this recipe taste coconutty. I think I’d try a more neutral flavored milk alternative — like almond milk — just to give the sauce that “creaminess” without altering the flavor. Since the flour is what thickens the sauce anyway, you don’t really have to use a heavy cream or coconut cream. Hope that helps!